Northern Passages addresses the ethics and esthetics of conservation and wilderness, with a focus on Alaska. It covers themes including environmental justice and patriotism, legal and ethical theories, nature and wildlife stories, book reviews, and other related topics. Click here for current blog posts or use the navigation bar to read previous ones. Subscribers receive new blog posts by email. Subscribing is a two-step process that requires responding to a message to verify your email address. Bob Osborne writes about conservation and other topics. He was a 2014 Pattie M. Layser Writer-in-Residence at the Murie Center in Grand Teton National Park. 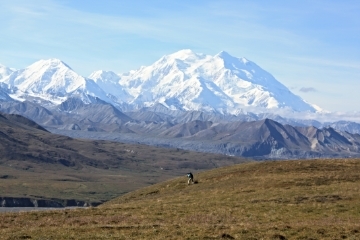 Bob has served on the boards of numerous nonprofit conservation, cultural and civic groups, including those focused on wilderness issues in Alaska. Click About for more information.